Categories: Kids & Family, Classes/Workshops, Misc. 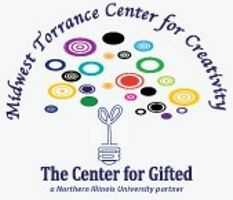 Founded in 1983, The Center for Gifted offers bright, gifted and talented children and teens, a wide variety of classes which are challenging, creative and fun! With a inventive, effective approach to education, classes inspire enthusiasm for learning. Applicants need NOT be tested or identified as gifted-just bright,motivated, and hungry for new challenges! Full and half days offered. Program is for PK-8th grades. Before & After care available! There are two,one week,sessions at this site to choose from! We have several other suburban locations, and dates offered. Please see website for class descriptions and application forms www.centerforgifted.org. We are a not-for-profit organization under IRC Section 501(c)(3). We are a Northern Illinois University partner.